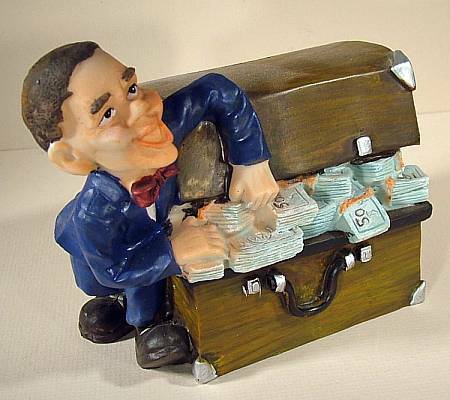 A business man in a suit and bow tie grabs some cash from the chest. We are not totally sure of the material, though it might be plastic. In any case, it is handpainted, and has a lot of character. Great place to save up your coins!